Former Afrigo band musician Rachel Magoola the biggest step in her political career by winning NRM nomination for the Bugiri district woman MP. Magoola is the latest musician after Bobi Wine to join active politics. Given her popularity, many anticipate that she’ll win the seat. Magoola is the daughter of former Iganga woman MP and minister in Museveni government Beatrice Zirabumuzaale Magoola. Her father the late Nicholas Magoola who died in 1996, worked for a long time as a teacher and Deputy principal at Kabwengasi Teachers Training College. Rachel Magoola’s name is often accompanied by the title of her most famous song, Obangaina which she sung while still with Afrigo Band. Magoola’s musical journey started at home where her father, the late Nicholas Magoola, was a music teacher at several colleges in eastern Uganda. As a young girl she sang in the church choir and played musical instruments at home. In Senior Two she was expelled from Tororo Girls School for performing in a band while on a school break. In 1983 Magoola joined Namasagali College and later “Kaliro Teacher Training College” where she trained as a secondary school teacher, specialising in music and languages. She taught at Namasagali College until 1993 when she left for Kyambogo University where she studied a degree course in education, majoring in Music. Although she was the best student in her class Magoola didn’t graduate because she was discontinued from her course for absconding when she went on tour with Afrigo Band. She recorded Obangaina in London with Afrigo Band and the song became an instant hit. Magoola went back to Kyambogo University in 2012 to complete and receive her education degree. Magoola joined Afrigo where she arranged a lot of the music and choreography. Inhaife , Tyenda Wundi and Tonyiiga . 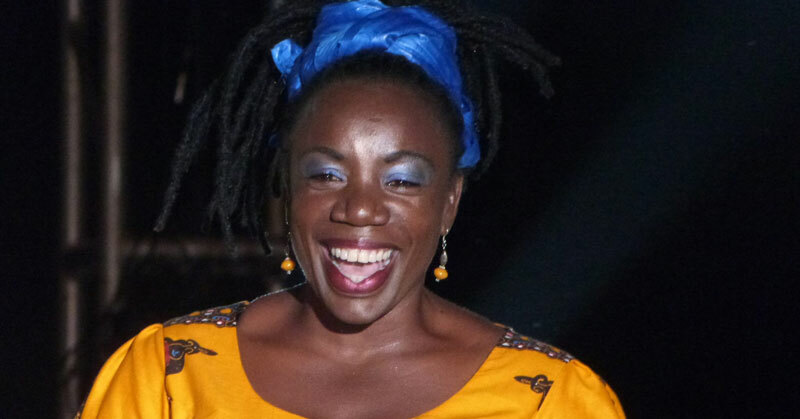 In 2003, she lef Afrigo band and Uganda, for the United Kingdom. At London’s South Bank she led the ‘Women of Kampala’ group in London’s African Music Festival and collaborated with South African trumpeter Claude Deppa. In 2009 Rachel and her band performed at the Sauti za Busara festival in Zanzibar. Her compositions contain elements of languages and traditional rhythms from all regions of Uganda, as well as reggae and zouk. Inhaife (1997), Tyenda Wundi (1998), Tonyiiga (2000), Atubembe (2001), Songs from the Source of the Nile (2005) and Eisadha (2008).